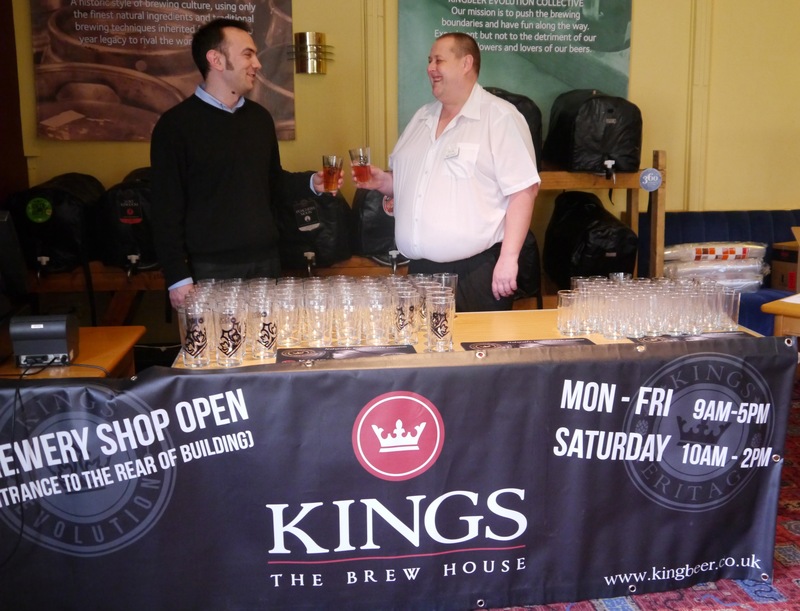 Opening to much anticipation, the first ever Beer Festival at The Holbrook Club earned its place on the social diary for future years by being a runaway success. Pre-festival preparations were underway four days in advance with the settling, venting, and tapping of the firkins (barrels to you and me!) to name just a few of the processes involved in ensuring a perfect pint would be poured on the day. As a mini warm-up to the festival, the Club played host to six Morris Dancing troops – the dancing proved quite thirsty work for the 100+ performers and they enjoyed sampling the beers on offer, including their very own special beer for the night called ‘The Morris Dancer’ kindly re-named by King Beer. With local breweries and food producers in attendance, the main event, sponsored by King Beer, swung into action. It proved to be a lively event, with over 600 visitors from the local community coming along to soak up the atmosphere, the beer, and the suns rays. The Six Nations Rugby on the big screens turned out to be the perfect accompaniment to the homemade scotch eggs and beers on offer. Paul Felgate, the General Manager of The Holbrook Club says “I have been overwhelmed by the support of our members, and the local community, by their attendance at our Festival, enabling it to be a huge success. We hope to double the number of exhibitors next year to ensure another fabulous quality event for 2015 for the local community to enjoy”.